We conduct the excise audit under section 14A and 14AA of Central Excise Act. Banking on the modern designing concepts and fundamentals, we bring forth a designer range of Excise Duty Service for our respected customers. We provide various choices to our valued customers. Along with this, these are offered at very affordable rates to our valued clients. We conduct the excise audit under section 14A and 14AA of Central Excise Act. We also carry out desk review assigned by Excise Department. We are on the panel of Central Excise Authorities. 1. 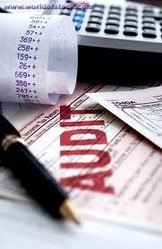 Cost Audit as under provisions of Section 209(1)(d) and Section 233B of the Companies Act 1956. Engaged in providing services which includes Special Excise Audits & CAS-4 Certification.